Four little girls in Joyce’s Sunday School died that day: Addie Mae Collins, Denise McNair, Carole Robertson, and Cynthia Wesley. Joyce left class early. The event left emotional scars. Fifty years passed before my cousin opened up to me about what she witnessed that horrific Youth Day Sunday where all the young girls dressed in white at Birmingham’s 16th Street Baptist Church. I never probed her before then. Never dug deep. Only after I saw a production of the play Fraternity—a fictional account of the tragedy—I begged to know more. “As Financial Secretary of the Sunday School classes, I was counting and recording the money in a separate room,” Joyce shared about the moments before the bombing. 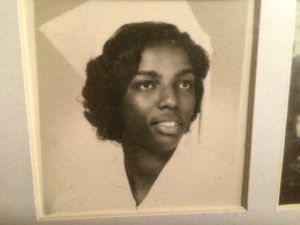 Joyce went on to explain the difficulty in leaving the grounds and her emotional race to get home, unaware that her classmates had been killed; others blinded; many injured. For updates, subscribe to my RSS feed or visit www.shirleyneal.com.